Most of the web hosting providers and design professionals currently recommend that people use WordPress for their sites. We are faced with a constant growth in popularity associated with the CMS and there are various reasons why this is the case. We will just mention those that are the most important for those web designers that are beginners. Professionals already know that WordPress websites are beneficial. This CMS is so often updated by work done by an entire community. Because of this, the platform is virtually bug free and highly secured. When exploits or vulnerabilities are detected, updates will take care of this. With another site design type, this is quite difficult since regular site owners do not have the programming knowledge to do this. You are no longer dependent on a team of people or a software company. Something like this is beneficial for both the hosting company and the site owner. WordPress is incredibly easy to install. This is one of the biggest advantages that are associated with the CMS. At the same time, we are faced with the same simplicity being associated with practically anything you would ad from a professional theme to plugins that are created to improve site efficiency. You do not have to worry much about getting a site running fast as everything would be done really fast, no matter how complex it is. Other systems would be much more complicated to install. WordPress is very well documented. All the documentation is available for free. This is a really great advantage for most web designers and site owners. For instance, is there something that you do not know how to do? Maybe there is an area of the site that you want to modify and you do not know how? You can find support information with ease by simply using a Google Search. Articles are written about practically everything and extra tutorials are written by people that use WordPress on their blogs. The community is definitely great and that is immediately visible through the huge number of articles that are written about practically everything connected with WordPress. 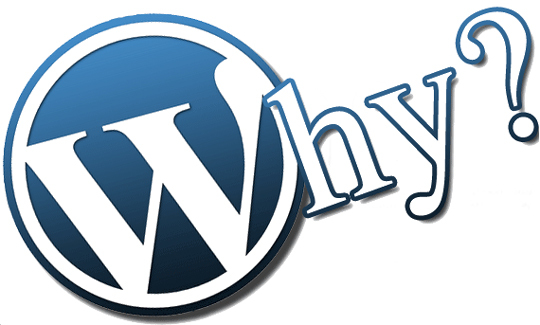 For the businessman, this is, most likely, the most important advantage that can be gained by using WordPress. Web developers and web hosts will use WordPress as the setup turnaround time is practically miniscule. Auto installers make this even simpler. As clients trust web hosts for IT advice, it is clear to notice that the hosts clearly praise how fast everything is. The fact that you gain time is really valuable for any business. You can dedicate more time for the activities that would generate an income. We are faced with something that is really great since businessmen are faced with time constraints. On the whole, it is quite obvious that WordPress is really valuable for site owners, hosts and basically all businesses that want to have a proper online presence. You have to consider it due to the reasons mentioned above and many others. How to Add More Life to Your Website’s Flat UI Design?